I'm confused. Why do a lot of your recipes have high-altitude baking instructions? I started this blog back in November 2011 when I was living in Denver, CO, but since then, I've moved back to my hometown of Portland, OR. When I first started, I was attempting to adapt the Hummingbird Bakery Cookbook's cupcake recipes for high-altitude. You can check out some of the work I did to do so here. Up until June 2012, I always included recipe steps for both sea-level and high-altitude bakers, but since I moved back to sea-level, no recipes past that date contain high-altitude instructions. But if you're a struggling high-altitude baker, I know how frustrating it can be, so I'm happy to help out if I can! I know it took me a long time to get used to mountain baking. Just shoot me an email at michelle@hummingbirdhigh.com and I'll do my best to try and figure out what's ailing your baked goods. Is baking at high-altitude REALLY all that different from baking at sea level? Are you sure it's not just your bad baking skills? Yes! The higher the elevation, the thinner the air, and the lower the atmospheric pressure. Baking is a chemical process, and certain ingredients will start behaving and reacting differently in lower atmospheric pressures. You can find a more thorough explanation in my page specifically dedicated to high-altitude baking. How do YOU know all this? What makes you so qualified? Well... I'm not really all that qualified. At all. I didn't go to culinary school and I've never received any professional training of any sort. Instead, I went to a rather esoteric liberal arts college and majored in something incredibly boring, thus causing me to start stress-baking every week. You can read more about me and my life here. My fascination with food science began much later when a good friend/fellow baker lent me her copy of How Baking Works: The Fundamentals of Baking Science. I read it cover-to-cover and learned about the science behind the baking process. Most of the cooking science facts you'll find in this blog are from that book. I'm also pretty indebted to Susan G. Purdy's Pie in the Sky: Successful Baking at High Altitudes. In addition to providing delicious recipes, the first three chapters of her book comprehensively detail the changes in the baking process created by higher altitudes. Again, almost everything I know about high-altitude baking comes from her. But that's all my qualifications though. Sorry. Like I said, this blog is mostly about trial and error. Are Hummingbird Bakery cupcakes REALLY all that different from American cupcakes? Yes! I sincerely believe that a Hummingbird Bakery cupcake is the British interpretation of the classic American cupcake. I've noticed some small differences in the Hummingbird Bakery Cookbook's recipes versus the recipes I find on American cookbooks and blogs. Hummingbird Bakery recipes use lower quantities of eggs and butter, but higher quantities of baking powder and milk. If you still don't believe me and my claim makes no sense to you, think about the differences between Italian bakeries, American bakeries, and Asian bakeries. While you can probably get tiramisu at all three, the tiramisu in the Italian bakery will be markedly different from the tiramisu in the American and Asian bakeries. The tiramisu cakes in the latter group are simply the American and Asian interpetations of the dessert. Hm. Is there a Hummingbird Bakery in the United States so I can check this out for myself? Sadly, there are no Hummingbird Bakery branches in the US. The bakery only has four branches, all of them in London, England. 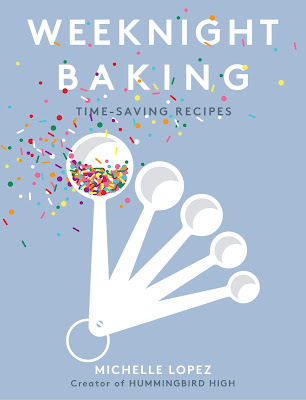 Fortunately, you can buy the Hummingbird Bakery Cookbook on Amazon.com. They even sell the US edition, which measures out all the ingredients by cup size (as opposed to the British edition, which has ingredients in grams and miligrams). Wait a second, are you being paid by the Hummingbird Bakery to write this? Ha! I wish. This site is in no way officially affiliated with the Hummingbird Bakery or any of the products, books, authors that I mention. All thoughts, comments, recommendations, and considerations are mine. Any photos or sentiments that aren't mine are meticulously cited (a residual from my overpriced college education). Well, on that note, how can I sponsor or work with Hummingbird High? 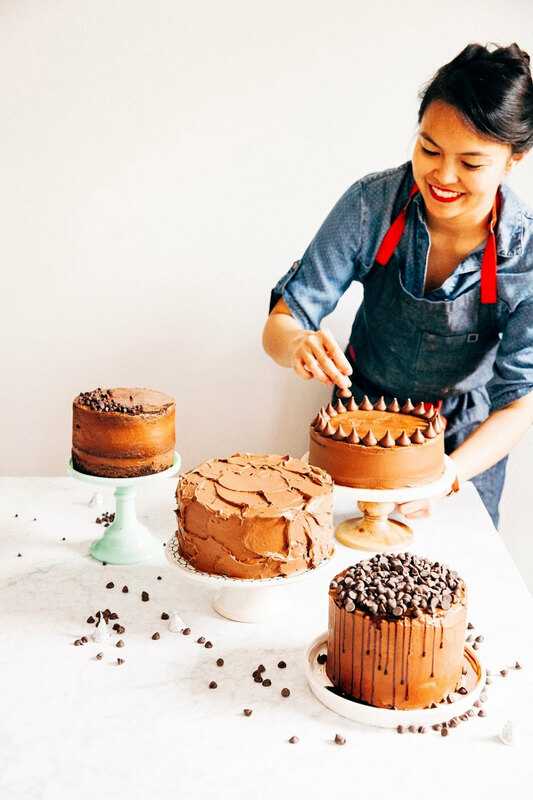 Hummingbird High is a personal baking blog filled with anecdotes, food science snippets, and increasingly original recipes by a young 20-something trying to make her way in this crazy world. Hummingbird High, which has been growing strong since 2011. Its primary readership consists of affluent, college-educated women between the ages of 18 - 34 from all over the world. The majority of worldwide readers of this blog are based in London, Melbourne, Sydney, Singapore and Toronto. Nationwide, the majority of readers are based in New York, Los Angeles, Chicago, Portland and San Francisco. For more information about my readership and audience numbers, request a media kit. For collaborative opportunities, email michelle@hummingbirdhigh.com for more information. I offer giveaway slots, product reviews, sponsored posts and guest posts. All are done on a case by case basis, and only if the product is something that I would choose for myself and that my readers would enjoy. However, I will not do reviews with editorial input or content from outside parties. All reviews represent my honest opinions. Can I use your photography and content on my website? Sure, but only if you give proper attribution or contact me to gain permission. I'm generally happy to see people sharing my stuff with other people, but less so when it's claimed as their own. Just be sure to link back to my site and/or the original post that the content came from. What camera equipment do you use? Do you have any proper photography training? I use a refurbished Canon Rebel XSi with a new 50mm f/1.8 lens. I shoot exclusively in natural light and use a foam board and a more professional light reflector to manipulate light. Post-processing is done in an embarrassingly amateur way, using Adobe Photoshop even though I barely know anything about it. I have no photography training and I'm still very much a beginner -- you can read more here. My photography game has upped considerably since I wrote that paragraph! As of June 2013, I use a refurbished Canon 5D Mark II and can work in both natural and studio light. No proper photography training as of yet, but I've taken a post-processing course or two since my prior response. In addition to my blog, my portfolio contains a good sampling of my work in both food photography and food events photography. The first iteration of this blog was designed by Troy Chafin, my wonderful and ridiculously talented graphic designer friend (whose amazing work you can see here). The second iteration of the blog's design was all me and a bunch of sleepless nights teaching myself how to code. The third and final iteration (that is, what you see now) was a collaborative effort between me and another ridiculously talented graphic designer friend, Sze Wa Cheung. While I designed/coded the site's infrastructure, she designed the awesome logo you see up top. You can see more of her work here. My site is hosted by Blogger and uses a personalized Simple template. I'm currently working on printable versions of my recipes. Hang tight. It'll happen soon, I promise. You can see a "Print This Recipe" button at the bottom of some of the newer recipes, and I'm going through some of my older recipes and adding that functionality as we speak. Sorry about this inconvenience! I never dreamed that my blog would get big enough that people would want to subscribe and print my recipes. Click the "PRINT ME" button, which is available at the bottom of most recipes (the only exception to this rule is that some of my earlier posts lack this functionality). The button will take you to a Google doc format of the recipe, and you can follow the instructions to print from there. Do you have a media kit? Who have you worked with? Yes! I have a PDF-version of my media kit that contains all the juicy details like my traffic and social media numbers. My media kit is available upon request. For sponsored posts and content, I've worked with all kinds of food-related folks: big brands like Frangelico, food festivals like Feast Portland, cookbook publishers and a bunch of local restaurants around the Portland area. Do you have a portfolio? Are you available for hire? Where has your work been published? Yes, I am available for hire! Shoot me an email at michelle@hummingbirdhigh.com and we can talk about my freelance rates. Rates are available on an hourly or per-project basis. My work has been published in Drink Portland and Relish Magazine, as well as being featured in The Kitchn, Food52, BuzzFeed, The Huffington Post and more. For a full list of where I've been published, check out my Press page. In addition to these publications, I've gotten shout outs from celebrities like Lauren Conrad, power bloggers like Cupcakes & Cashmere and more. Alright. How can I contact you about some more questions I have? Just shoot me an email at michelle@hummingbirdhigh.com. I'm happy to answer any more questions you have!